The tour was spectacular. Press in attendance were able to see the entire infrastructure of the CMX Movie Theater. We got to see each floor which is well built, well designed and great use of color to really add the sophistication feel one would expect from this place. There is a bar on each floor, seats at the bar and lounge chairs as well in designated areas. This is one movie theater that really wants to make sure that you’re comfortable. I was really impressed with the behind scenes look at the men and women behind the kitchen. Chef Isaac Stewart was on hand to give us a overview of the menu which I will say will have people coming often. From there we got to see what everyone will come to CMX for the movies. The movie theater looks and feels fantastic. Full comfortable reclining seats, most importantly enough space to stretch your legs if you don’t put your feet up. Attach The tour ended with a look at display of the full menu and drinks that will be on display. CMX Cinebistro has something for everyone in the food department. Whether you’re a vegan, meat eater or a balance of both. The wide range selection of food and quality is definitely better than other premiere theaters I have visited in the city. Chef Isaac Stewart made sure quality was the name of the game with a wide range of choices. 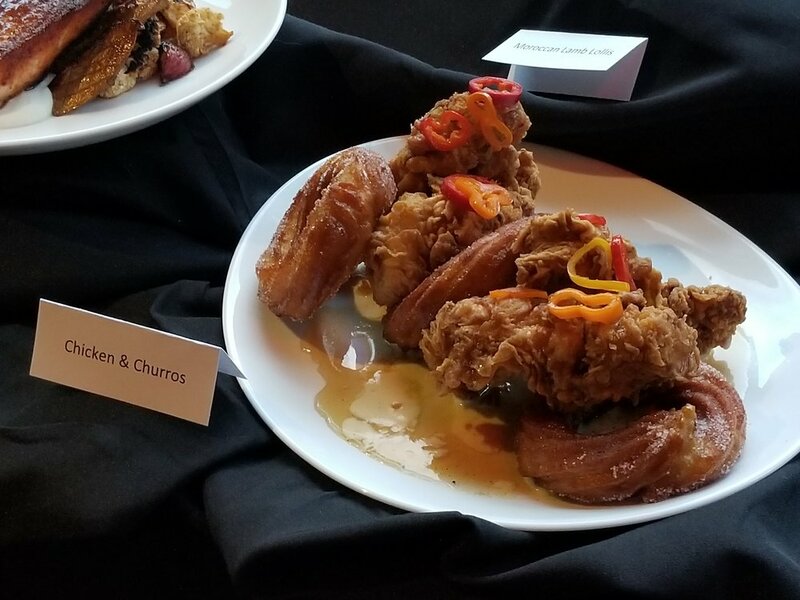 During my screening of Solo: A Star Wars story theater we had the pleasure of trying out some of the dishes. For the preview I chose the Korean Cauliflower Wings which consists of Gochugaru Beer Batter, Chojang and Pineapple Kimchi. It was delicious and I highly recommend this dish. It was season just right and the right mild of spice that didn’t have you asking for water. For the main course I partake in the Pan Seared Ora King Salmon. This consist of Miso Brown Butter, Cauliflower Puree, Pan Roasted Trumpet Mushrooms and Cauliflower. Check out the pics of my dish and other offerings below. 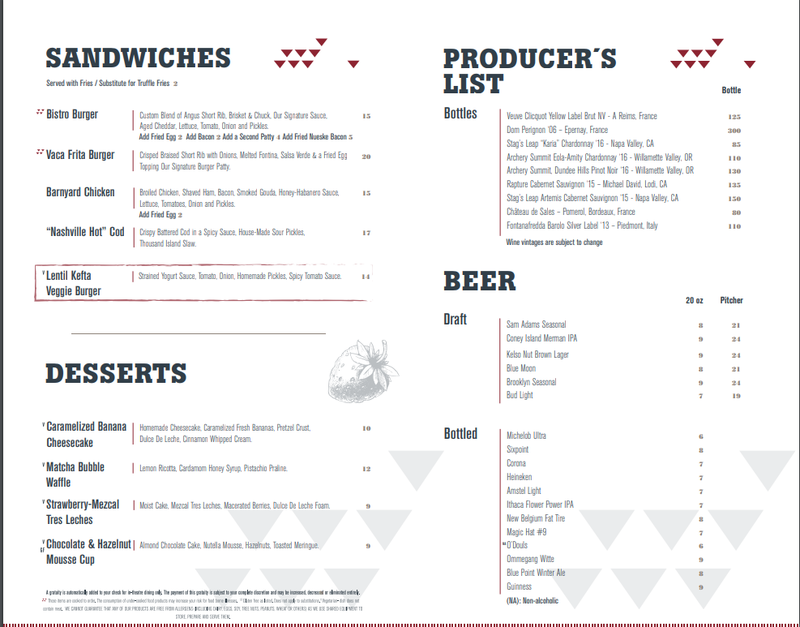 Also check out the menu. Check out the pictures of some of the drinks below. I had the Water Lily drink and boy it was sweet and good. I’m not much of a drinker so the Water Lily had me a bit buzz but it is a really good drink. As I stated before the theater is great. Perfect lightning to illuminate the room but dark enough to keep engage with the film. The service is very accommodation with a push of a button your waiter or waitress will be there to attend to your request. One important thing I really like is that the theater will only have 21 and up at a certain time. For a movie goer like me who likes to be in a theater with only adults this works perfectly. Comfortable seats, good screen with picture quality and the sound quality is pretty good as well. Final Word. CMX Cinebistro is definitely a Movie Theater Experience with great service, great food and drinks. It is the perfect date night spot for your long term partner. I wouldn’t make it this a first date thing unless you’re really know for sure there will be more dates. The prices are fair and the service is sophisticated and professional. If you’re tired noisy crowds, lack of quality in your meal and seats that are old, then CMX Cinebistro is the place you need to make your primary theater. I will definitely be back when I go see Halloween. About the Company: CMX Cinemas, a wholly owned subsidiary of Cinemex, opened its doors in April 2017 at Brickell City Centre, Miami, FL, offering new features to give guests an innovative and VIP moviegoing experience. CMX provides state-of-the art technology that can be enjoyed through different types of experiences: CMX CinéBistro, the luxury dine-in and in-seat service; CMX Market, the gourmet grab and go movie experience and CMX Premium, the upgraded traditional theater with classic concessions. It also features the trendy and exclusive CMX Stone Sports Bar at select theaters, making CMX the onestop-destination for entertainment. CMX, with the opening of the New York theater, will have 37 sites, 388 screens and 2,450 employees, in venues located in Florida, Illinois, Minnesota, Georgia, Alabama, North Carolina, Ohio, Virginia, Maryland and Colorado. New openings are scheduled in New Jersey, Illinois, Florida and Georgia during 2019.  The CMX CinéBistro Experience: VIP Dinner-and-a-movie Experience Complete with cutting edge audiovisual technology, the CMX CinéBistro luxury concept offers moviegoers the upscale and relaxing experience with its high-end décor, oversized upholstered reclining seats with leather accents, in-seat dining with seamless service and an exceptional assortment of wines and handcrafted cocktails made to order by top mixologists. In a nutshell, CMX CinéBistro is the most sophisticated VIP dinner-and-a-movie experience.  Age restriction and Arrival Time Policy: At CMX CinéBistro NY 62nd guests must arrive 30 minutes before showtime to enjoy in-theatre dining. Age Policy 21+ after 6:00 p.m. ID Required.  The Theater: CMX renovated the six-story existing theater, while maintaining the integrity of the building’s original structure. The 45,500 sq. ft, newly enhanced theater, reflects a modern and minimalist design. The theater has six auditoriums, two on each level and immersive bars in the common areas. Ranging in size from 46 to 64 seats, CMX CinéBistro’s auditoriums were carefully designed to provide an intimate and private setting. They also feature the latest in projection and sound technology, including a Dolby 7.1 sound system.  Top-Notch Service: The CMX CinéBistro concept provides best-in-industry, personalized service to all guests. It's more than just delivering amazing guest service. It's delivering amazing personalized guest service. The goal is to create the personal touch.  Sophisticated Menu: Moviegoers can enjoy a fun and luxurious dinner-and-a-movie experience with inseat dining, featuring a curated menu of chef-inspired dishes. A culinary exploration of New York City, the menu puts an artistic, innovative spin on some of the city’s most celebrated cultural cuisines and cooking styles. Highlights of the ingredients-driven menu include Lobster Cannoli, Moroccan Lamb Lollies, BBQ Spiced CAB Cowboy Ribeye, and Strawberry-Mezcal Tres Leches.  Masterful Mixology: CMX CinéBistro has on-site mixologists crafting artisanal cocktails on a nightly basis. 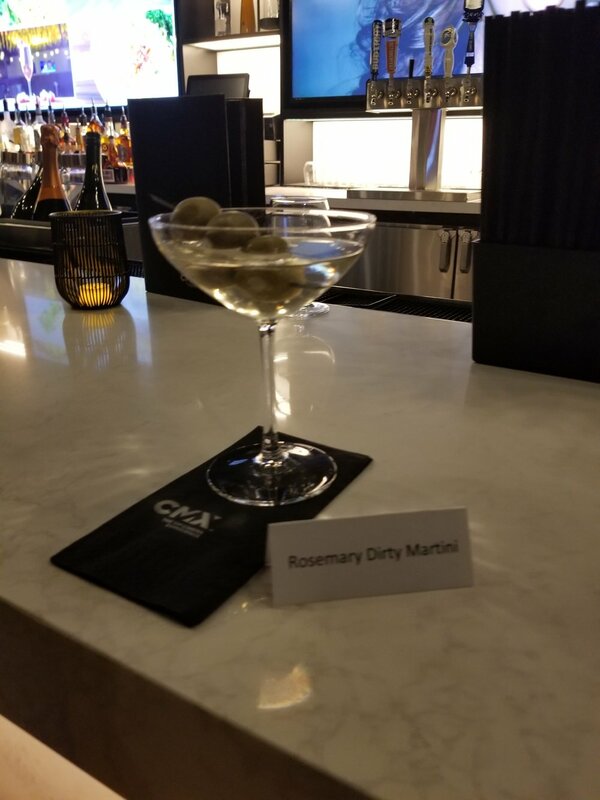 Signature cocktails include the “Rosemary Dirty Martini” with Rosemary-Infused Catskill Mountain Peach Vodka, Dry Vermouth, Filthy Olive Brine and Herbed Boursin Cheese Stuffed Olives and the “Smoked Bourbon,” the ultimate bourbon-lover’s temptation with a blend of Buffalo Trace Bourbon, Hickory Smoked Ice Cube and Vanilla Syrup.  Luxurious Comfort: The theaters feature lush oversized reclining love seats with leather accents and foot rests, complete with a swivel table. Each chair also includes a dim LED light and storage compartment for safe keeping of personal items.  Event Venue: CMX’s first-class viewing rooms, immersive bars and common areas are also available for corporate meetings, private screenings, fundraising events and special occasion celebrations.